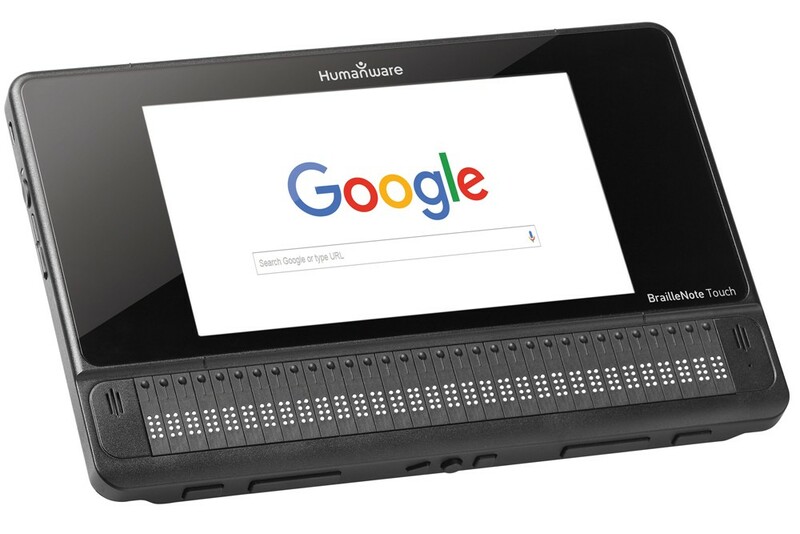 The BrailleNote Touch interface is easy to learn for both students and teachers, combining the benefits of KeySoft and braille literacy of a traditional note taker with the efficiency and power of a modern tablet. Electronic braille notetakers are small, portable and battery operated devices with braille keyboard for entering information. They use a speech synthesizer or braille display for output. The Braille notetaker can be used by blind or visually impaired people who read braille. A braille notetaker is a portable computer or personal data assistant that has a Braille display built onto it. These devices can be used in a stand-alone mode for taking notes, doing basic word-processing, scheduling appointments and performing other tasks. They can also be connected to a computer with screen reading software and act as a Braille terminal.